Dallas has some of the best antique shops around, hands down. And by antiques, we mostly mean traditional 18th- and 19th-century English and European pieces, with some important 20th-century ones thrown in for good measure. You know — those extravagantly priced, beautiful pieces you see in auction catalogs. Interestingly enough, these are the pieces that store owners from New York and LA come to Dallas to find, only to go home and sell at a higher price. 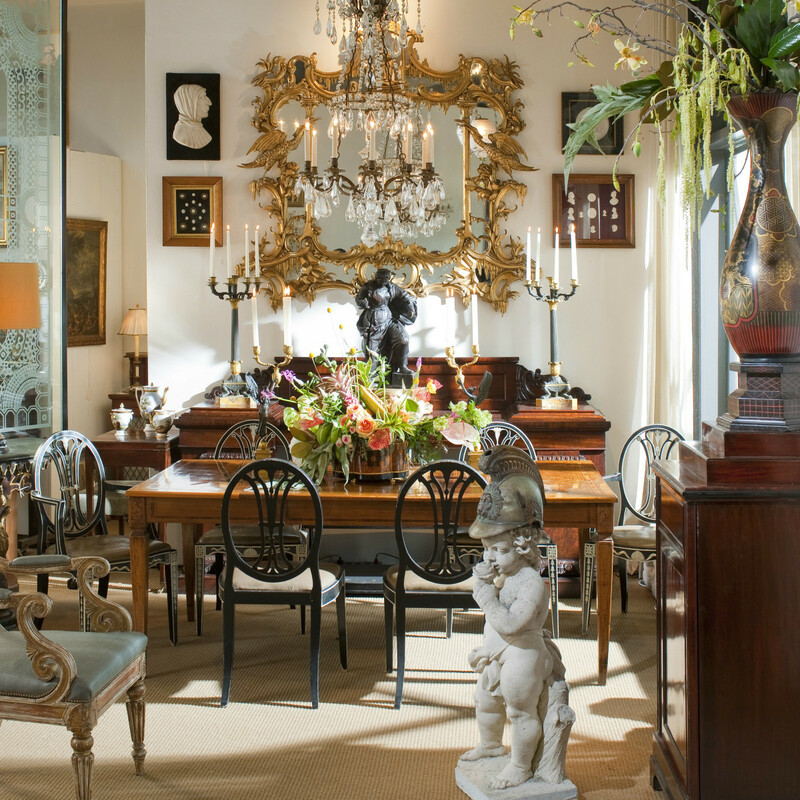 Whether you’re into antiques, or you just want one or two special pieces, these are the Dallas stores you must shop. 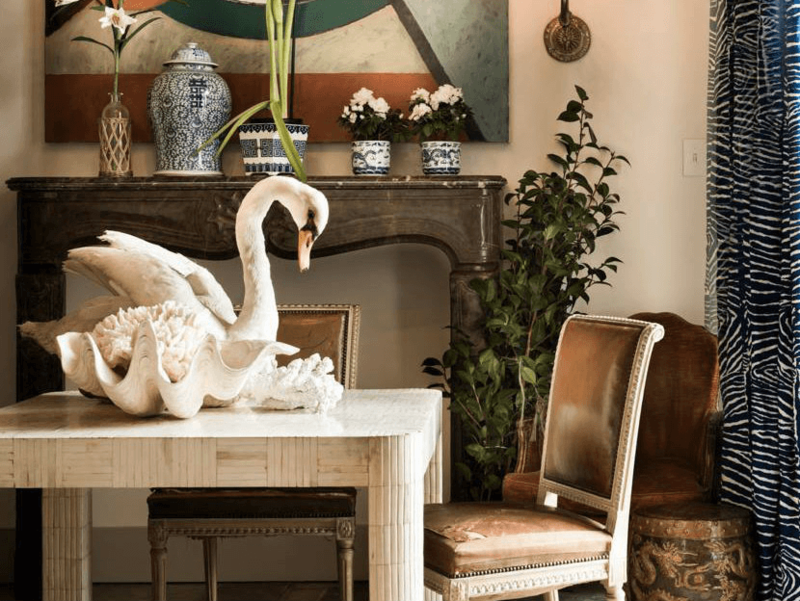 Located in the heart of the Design District, Embree & Lake offers a wide range of 18th- and 19th-century European antiques, as well as lovely color-blocked vignettes brightened with modern art. Specialty: Louis XVI period, bronze and rock crystal lighting, and lamps. 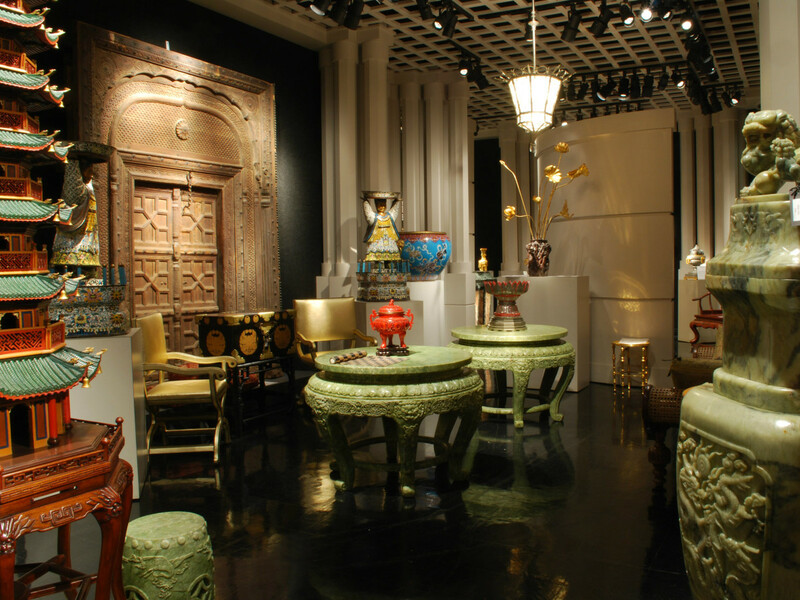 Bonus: Qing Dynasty porcelains, French deco pieces, and modern art. And, don’t forget to say hello to Marc Lake’s partners Walter, Sister, and Edith. ​Founded in 1979 and also located in the Design District, this 12,000-square-foot showroom welcomes visitors with a beautiful vine-covered entryway. 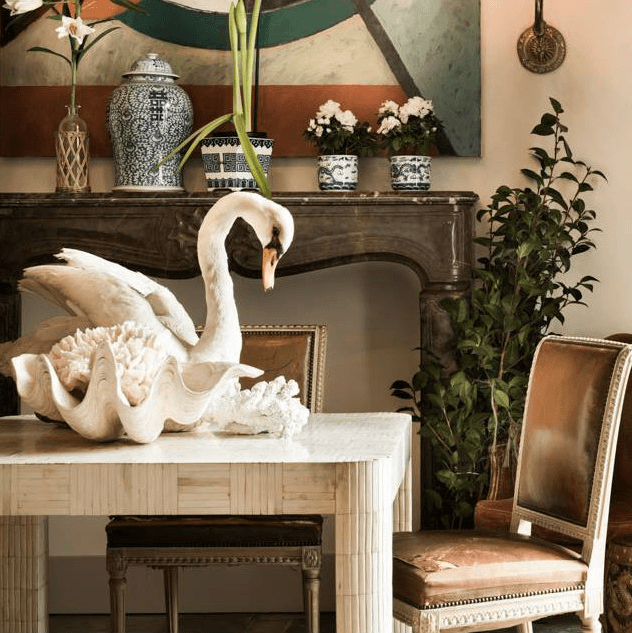 Specialty: Huge range of collectible pieces, from antique Chinese dynasties to the famous Hatch porcelain collection to a modern French daybed by Madeleine Castaing. Bonus: The showroom is mostly displayed in take-home-ready room settings that immediately make you think of Downton Abbey. If you’re lucky, you'll be greeted by illustrious owner Betty Gertz and then invited to visit by the fire in her luxurious library. A massive warehouse stocked with European antiques, Slocum Street's Legacy Antiques recently expanded to 15,0000 square feet. It carries a daunting selection of tables, consoles, chairs, and lighting in a treasure-hunt atmosphere of an old, dusty antique store. Bonus: A new space was recently added for lighting — lamps, sconces, and chandeliers. 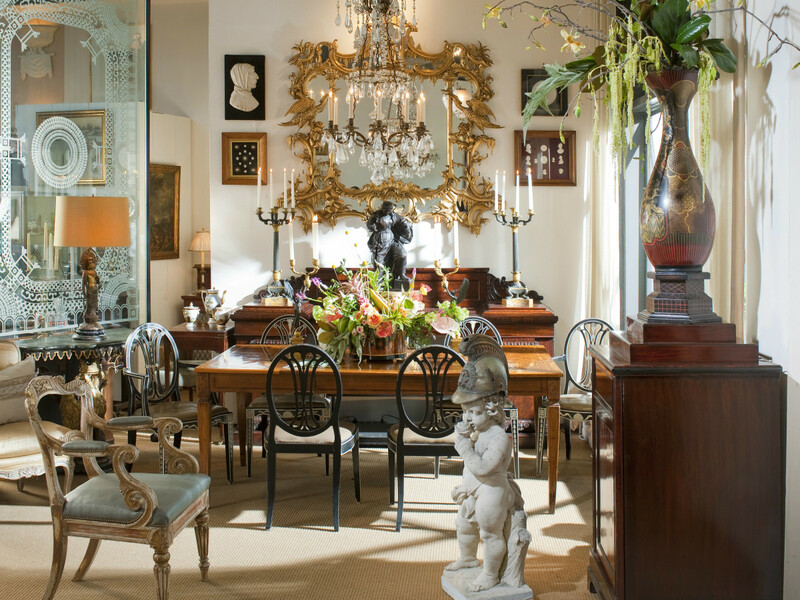 This beautifully displayed shop on Henderson Avenue stocks a huge variety of 17th-century to midcentury furnishings. Specialty: Antique silver, collectible art, unique and unusual accessories. Bonus: Eclectic vignettes arranged with modern sofas accented with antique chairs and accessories. When you’ve seen enough “brown furniture” (yes, great European antiques are mostly mahogany, walnut, and oak), treat yourself to a trip up Irving Boulevard to this unlikely space. Upon entering, you'll feel like Marco Polo must have felt when he entered the Forbidden City. 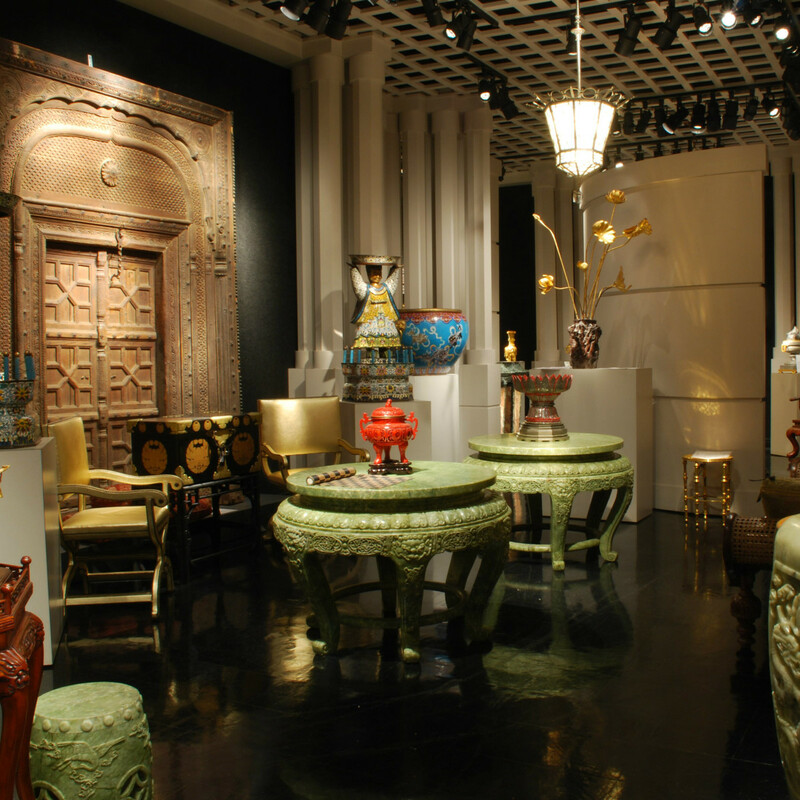 Specialty: Dallas' most extravagant collection of porcelains, cloisonné, and jade. Bonus: Unusual midcentury pieces that look particularly fresh in these surroundings.